Home #BigExpose Why ‘Acute Water Scarcity’ In Several Mega Projects Villages In Rural Telangana? Why ‘Acute Water Scarcity’ In Several Mega Projects Villages In Rural Telangana? 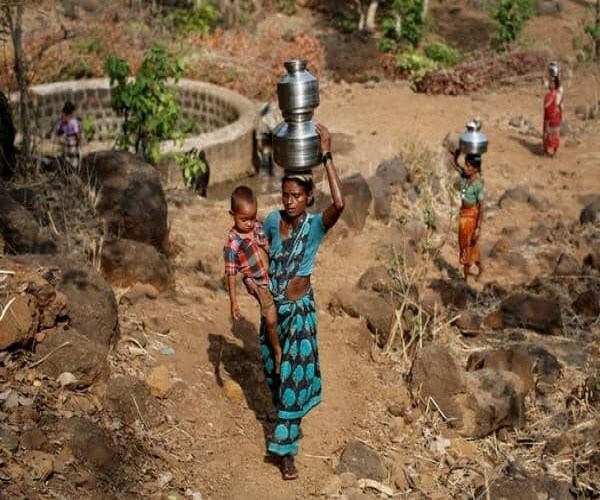 After the Telangana assembly polls the biggest complaint in the villages is the lack of access to reliable water supply for drinking and usage. The remote villagers has to go miles in search of drinking water. This is the daily scene of many remote villages across the Telangana state. On the main road leading into Peddadarpally village (in Hanwada Mandal, Mahbubnagar district), there is a colourful commotion. Women crowd around a borewell surrounded by brightly coloured plastic pots and fill them up as fast as they can. In a few minutes, there is disappointment, the pump has overheated and the owner of the well who runs a small hotel, has to shut it down. Budamma and other women cry out, “There is no water, what are we supposed to do.” The next water source is about half a kilometre away from the village, again a private borewell and that is where they will go next. Drinking water is premium in Mahbubnagar district, with tankers supplying water in summer months. There are whispers of corruption and how the pipelines were not allowed to enter the Peddadarpally village under the Rs 43,791 crore Mission Bhagiratha. There are two borewells with water for a population of 3,800, the remaining have dried up, said D. Chenniah from the village. In the last five years, the crisis has deepened. People grow maize and millets and in the scheduled caste colony at the beginning of the village, Venkataiah points to a handpump that is dry. The 125 households have to run around for water, says Venkatamma. The dug wells have dried and ground water levels are at 300 to 400 feet. There is little rain and the large tank in the village spread over 11 acres, has been bone dry for a decade, Chennaiah said. For drinking water, they have to go to Anwada where there is bottled filtered water for Rs 10 (for 20 litres). But many cannot even afford to make the journey or pay for the water. “The Mission Bhagiratha project aimed at providing adequate, safe, sustainable and potable drinking water to all households in the state is at an advanced stage of completion. About 95% of physical works under the project have been completed, ahead of the schedule. Under the Mission, about 5,500 rural habitations and 12 urban local bodies are provided with bulk water supply and about 2,500 habitations provided with household water,” proclaims the Socio-Economic Outlook 2018 of the Telangana government. The water is sourced from the Krishna and Godavari rivers through a network of pipelines. 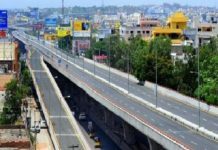 In the election campaign for the Telangana assembly, the opposition Congress party accused the Telangana Rashtra Samiti (TRS) government led by Chief Minister T. Chandrasekhar Rao for implementing gargantuan projects without proper public discussion and understanding of the ground situation. With elections notified for December 7, political parties have already criticised the ruling Telangana Rashtra Samiti’s manifesto promising more sops to the people including a Rs. 100,000 loan waiver, an unemployment allowance and doubling pension amounts under the Aasara scheme while ignoring real issues. 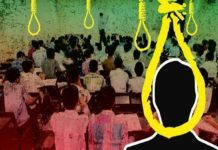 In the first two years of the new state, 2014 and 2015 (the last year for which National Crime Records Bureau data is available), 2,747 farmers committed suicide (unofficially, the figure crosses 4,000 till now), while government posts lie vacant and unemployment is rising. With less rainfall, the situation in 20 gram panchayats of Hanwada Mandal is grim with 30 per cent crop losses, says Anjaneyulu. There is little groundwater and the existing water “cheruvus” or tanks (the focus of another major government project Mission Kakatiya) are not used for irrigation. The tank in Hanwada has water but the sluice gates are closed. The villagers took a decision 20 years ago not to use it for irrigation. This is an area with a lot of landless people and agricultural labour. The situation is dramatically different in the chief minister’s constituency, Siddipet. The Siddipet district already had a tap water network in 1996 when he was the MLA there. Now under Mission Bhagiratha, rural households have taps in front of their houses with piped water and the tanks in the area are infused with water through pipelines from the Sri Ram Sagar project under Mission Kakatiya. In Bhumpally village, Mididodda Mandal, Balawwa is proud of a water tap, which occupies pride of place in all homes in this village. The old tank at Jagannathpur village (in Warangal Urban district, Elkaturthi Mandal) has been repainted and will store 120,000 litres for supply to 15 nearby villages. This village had very low groundwater levels some years ago but now it has increased somewhat. This year, however, there are no crops planted as the rainfall was less. In another grandiose plan, Mission Kakatiya, named after the rulers who built many water tanks, the government has taken up desilting and beautifying tanks and bringing more areas under irrigation. In Jagannathpur, under Mission Kakatiya, the tank was desilted and the farmers had the silt spread on their fields. The tank extends over 22 acres and can irrigate about a 100 acres, which is one-fourth of the total land in the village. Repairing tanks has not always helped irrigation. The “Pedda Cheruvu” or large tank in Bhumpally village has some water. There is a wide bund running along the tank, with new concrete steps leading down to the water, two newly built sluice gates, and a waste weir. Rajaiah, the neerati or the person responsible traditionally for distributing water, earns a salary from the revenue department. With poor rains, this year no one grew paddy. On the other side of the tank, 400 acres lies barren, and cattle and sheep graze on it. Usually, the water stretches over 200 acres but this year parts of the tank are dry and some people have sunk borewells and are growing crops. Yada Gaudu owns one acre and also runs a small hotel and sells toddy in the village. Since there was little rain, he didn’t plant anything this year. Renuka, a landless woman, washes clothes for a living. It costs over Rs. one lakh to dig a borewell, often it is borrowed and water levels are at 300 feet or more and you may not hit water each time. In 2016, the tank was full but last year, it was half and this year even lower, said Rajaiah. The village has no crop since two years and people have to look for work elsewhere. Rajaiah worked as a head-load carrier in Hyderabad for 30 years. Seventy per cent of the 2000 farmers in Bhumpally have borewells to grow cotton and maize but many wells are drying up. People work in Hyderabad or other cities and over 450 women augment their income by making beedis. Lata is thrilled that the government has announced a pension for beedi workers. People are looking forward to the Kaleshwaram project which will bring them water, even as there is local resistance to this big-ticket lift irrigation scheme. The village of Pechkalpet claims that the government did nothing for them, and despite all the sops and projects, there is unhappiness. There is no irrigation here and people rely on wells, some 500 of them and 25 borewells. Suresh Reddy spent Rs. one lakh to dig a borewell and even at 400 feet there was no water. The main tank was full only once in the last five years. Another crib is that the landless have not been given the promised three acres each. Mission Bhagiratha is still a work in progress here, the people said. The Missions seem to have delivered erratically and Congress party spokesperson Dr. Sravan Dasoju and convenor of the campaign committee, is critical of the grand plans and the huge corruption in the Mission Bhagiratha project. “What the people of Telangana want is water for irrigation, instead you have this Rs 46,000 crore project in which one single contractor with powerful connections to the ruling party has benefitted,” he alleged. Mission Bhagiratha does not take into account older projects and it is not as if the earlier governments did not provide for drinking water- there are many existing schemes including the Rajiv Gandhi Mission for drinking water, he pointed out. About 20 to 30% of the funds have been swindled, he said adding that there are better ways than Mission Bhagiratha – it would be cheaper for instance to install reverse osmosis plants in each village which would not cost more than Rs 1,000 crore. The government avoided simpler ways of providing drinking and went in for this costly scheme piping river water – it’s a mockery, he added. However, a report of the Comptroller and Auditor General of India (CAG) on the economic sector for the year ended March 2017 (Government of Telangana report no 6 of 2018) has criticised Mission Kakatiya. The CAG report said the Mission was launched in 2014 to restore 46,531 tanks in a phased manner, i.e. 20% per year and bring back one million acres that can be irrigated but which were not, under tank irrigation. The marginalised Telangana Joint Action Committee (TJAC), which was in the forefront to fight for the state of Telangana, released a manifesto which focused on 15 major points for the elections. Ravi Kanneganthi of TJAC and editor of the magazine Tolakari said major acts for food security, employment, right to education, forest rights, land acquisition and against atrocities were not enforced properly. There is no comprehensive policy for the agriculture sector, only schemes. 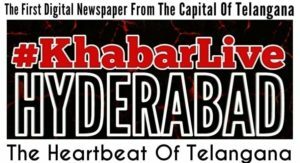 Previous articleWhy ‘Different Exam Question Papers’ Given To ‘MBBS’ Students In Telangana? 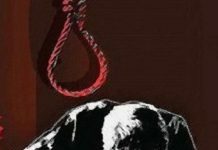 Next articleDespite ‘Stringent Laws’ And ‘Hawk Eye’, Why ‘Human Traffickers’ Go ‘Scot-Free’ In Telangana?